The punishment imposed last month was a first under the EFL's new Profitability and Sustainability rules after the club were found to have exceeded the £39m allowable losses over a three-year period. 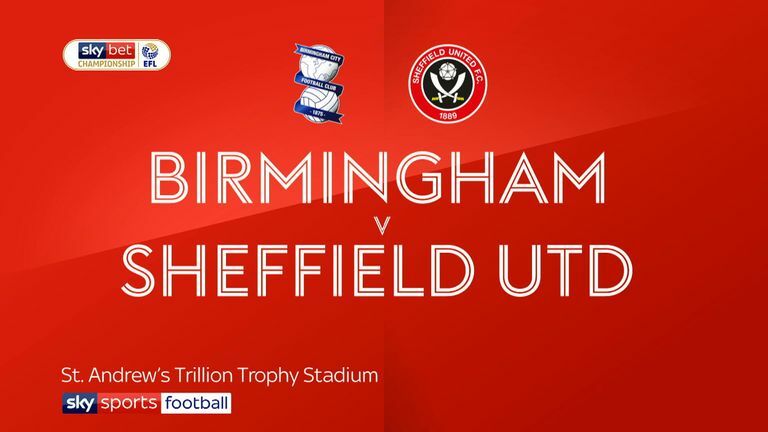 The points deduction saw Birmingham drop down the table from a position of mid-table safety and onto the edges of a relegation scrap, and the club had two weeks to consider whether to appeal. But Garry Monk's side beat Leeds 1-0 at the weekend and then drew 1-1 on Wednesday with another of the promotion contenders - Sheffield United - to pull six points clear of the drop zone. Both parties have opted not to appeal the decision, the EFL said on Thursday. A statement read: "In the event the club exceeds the Upper Loss Threshold for a second successive reporting period, it should be noted that the principle of the sanctioning guidelines will mean the annual losses, for any season already considered as part of the concluded proceedings, will be capped at £13m." Birmingham "welcomed" the EFL's release and said the club now looks forward to a "bright future". "In the light of this season's unprecedented events and after taking stock of all our dealings with the EFL, Birmingham City are committed to ensuring we remain competitive with the ultimate goal of achieving our ambitions, whilst at the same time being mindful and respectful of regulations and parameters laid out," the club said. "The club policy on transfers, recruitment, infrastructure improvement and such like will be clear, efficient and effective with the aim of maximising value on the back of best practice. "The club would like to thank the EFL's chief executive Shaun Harvey, director of legal affairs Nick Craig, financial controller Jim Karran, amongst others, for their understanding, help and guidance in what has been a difficult period for all."